Continuing with my reading during the Blog Pause of last year with the rest of September 2017 and a peek at October. 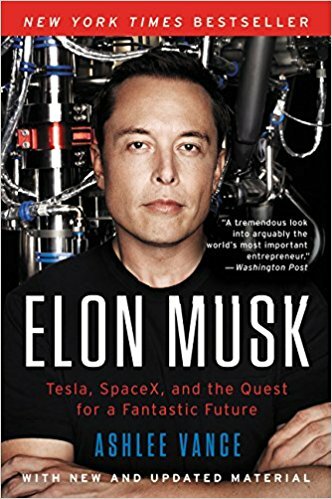 Elon Musk – Tesla, Space and the Quest for a Fantastic Future by Vance Ashlee – I think Musk is a fascinating person, and at one time I considered buying a Tesla, but decided it was too expensive. But I wanted to find out more about the man. An interesting book. 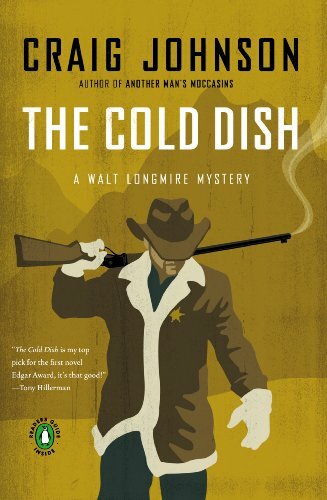 The Cold Dish by Craig Johnson – After seeing Johnson on a panel at the Monterey Left Coast Crime, I bought this book and it sat in the TBR area for a long time. I then read his Wait For Signs short story collection and liked it a lot, but still didn’t start this one. Finally one day I thought “I need to read that” so I did. I loved it! It started me reading a run of books by the author, as you will see. 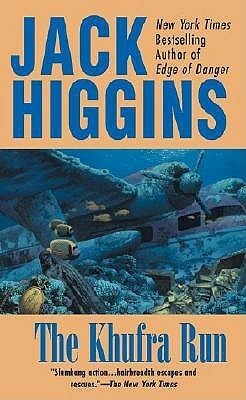 The Khufra Run by Jack Higgins – Though I have several of Higgins’ books sitting around, I’d never tried one until this paperback. It was pretty good, but not terrific, and I’m unsure if I’ll try another or donate them to the library. 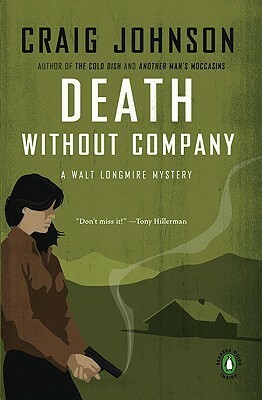 Death Without Company and Kindness Goes Unpunished by Craig Johnson – I read these back to back, and, after a break for some short stories, kept on in the series, as you’ll see next post. I really got hooked on Longmire. If you’re wondering, no, I haven’t watched the TV adaptation, and have no interest in doing so. I have the characters in my head and don’t want to see a casting director’s version. 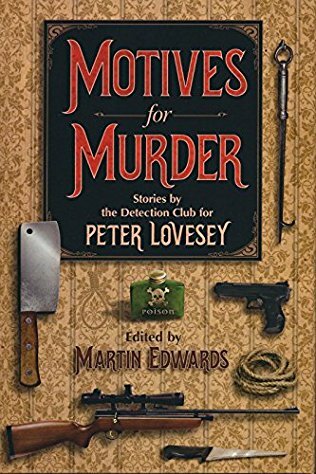 Motives For Murder – Stories by the Detection Club for Peter Lovesey edited by Martin Edwards – A tribute anthology to a fine writer. Though I found it a bit uneven, as is often the case with books like this. Edwards did a fine job of editing, but the Lovesey connection was weak in some cases. Next time, the rest of October 2017. I’m catching you up, as quickly as I can. There’ll be more Johnson, and a variety of others; some may surprise you. Until then, be well. 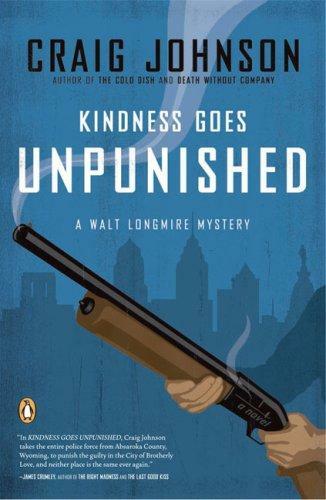 I’m not surprised you liked the Longmire books once you got around to them. I agree with you. It’s one of the series I am up to date with. As for the television show, I think you’d find they did an outstanding job casting Longmire. The rest of the characters, not as good (IMHO). Barbara zipped right through them all, is now waiting for the next. I took a break part way, then read another, am now on another break. I don’t want the series to be over. Be sure to start with the first one, THE COLD DISH. I’ve read several Longmire books and enjoyed them. The actor who plays Longmire is wonderful! Craig Johnson is one of the more addictive writers out there. Glad you are enjoying the books, Rick.